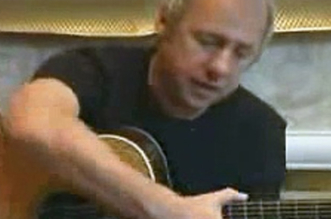 Mark Knopfler with gin bottle. 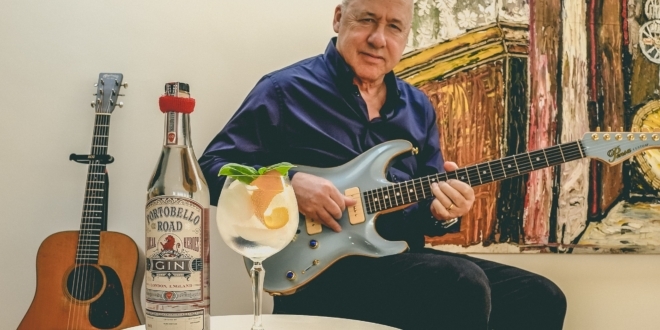 Former Dire Straits frontman Mark Knopfler has launched his own gin. 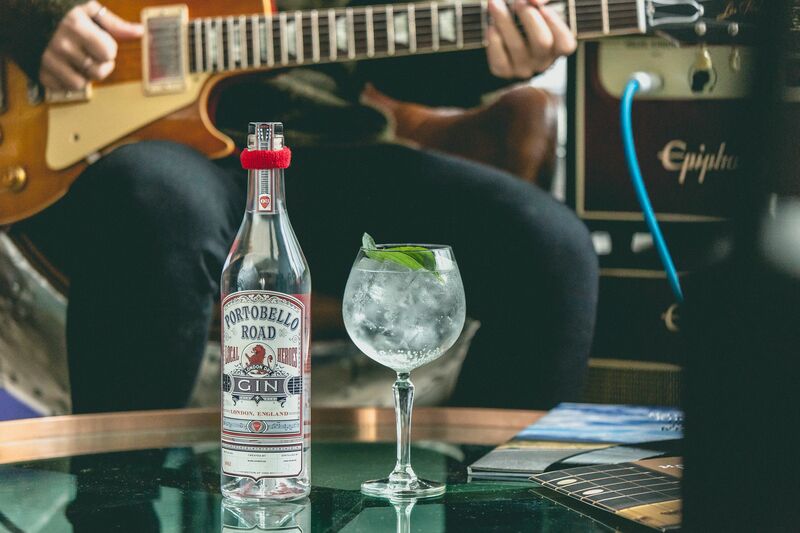 The guitarist has collaborated on the latest limited-edition spirit from independent manufacturer Portobello Road Gin. 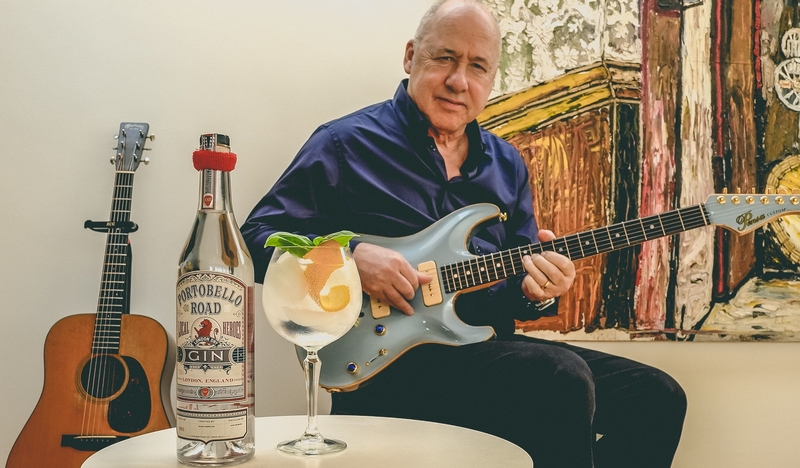 Gin enthusiast Knopfler, who previously lived in Notting Hill, was chosen as the latest name for the company’s series celebrating famous residents. 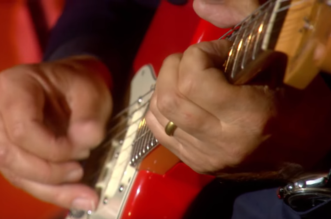 Local Heroes No.3 comes in a bottle featuring Knopfler’s 1937 National guitar, familiar from the cover of Dire Straits’s 1985 Brothers In Arms album. The bottle is even “dressed” with his signature red sweatband. 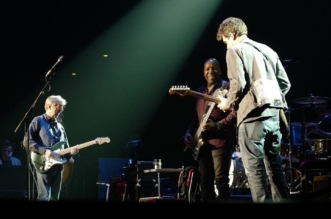 “There’ll probably be a few fans who want to have a bottle just to collect,” said Knopfler. His gin combines signature botanicals with lime zest, cucumber peel and olive oil. The idea emerged when he was writing songs for the musical version of Local Hero, based on the 1983 Bill Forsyth film, for which the musician wrote the soundtrack. The show comes to London after its current run at the Lyceum in Edinburgh ends in May. The special edition gin is available for order now on Portobello Road Gin’s website. 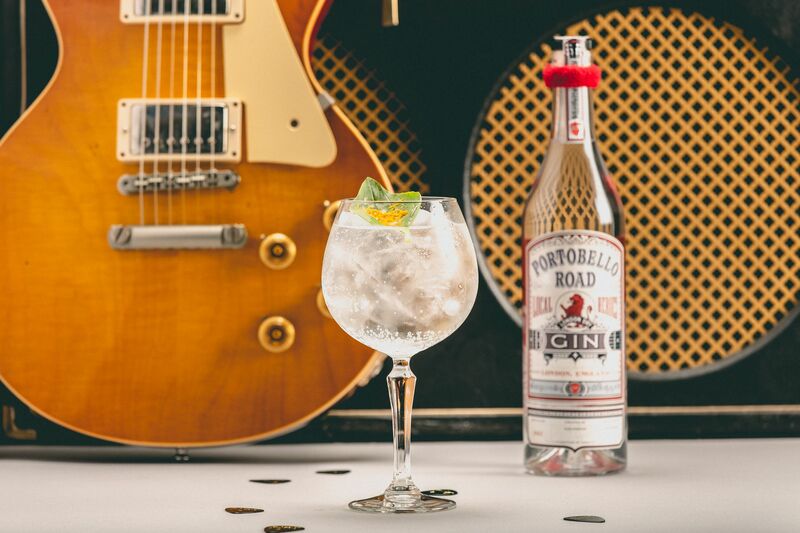 With each bottle, this gin pays homage to Mark’s career, from the label to the miniature version of Mark’s iconic sweatband from his live shows with Dire Straits. The launch of “Local Heroes No. 3” coincides with the opening of stage musical, Local Hero, adapted from the Scottish film of the same name, featuring Mark’s original composition, as well as the Down the Road Wherever 2019 tour. NOTE: Portobello Road is unable to ship orders to destinations in North America and Australia. 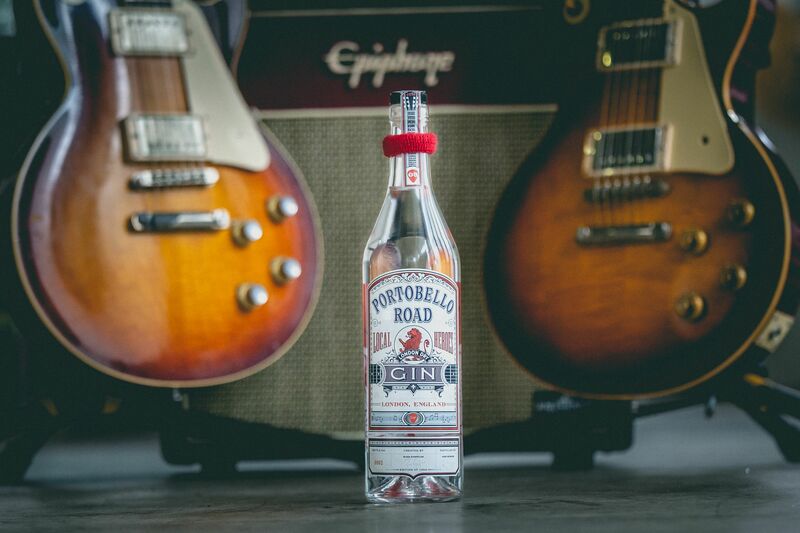 For more info, check out the official website of Portobello Road Gin here. Click on any photo to see the full gallery.